Derma Rolling is a perfectly safe anti-ageing facial treatment, that helps to reduce and sometimes eradicates altogether wrinkles and fine facial and neck lines. Derma Rolling is done by a professional technician using a small roller covered in very fine needles that vary in length. Good quality topical anaesthetics are applied before the procedure to keep the client comfortable throughout and at Pretty Permanent depending on what the clients skin needs dictate, various preparations and nutrients are trans-dermed into the skin post procedure to assist with rejuvenation and repair. It is used as a non-invasive alternative for Botox, Dermal-fillers and plastic surgery but can be and often is used in conjunction with all the above. One needs to allow 2 hours for per treatment. Derma Roller treatments are usually a minimum of six weeks apart. 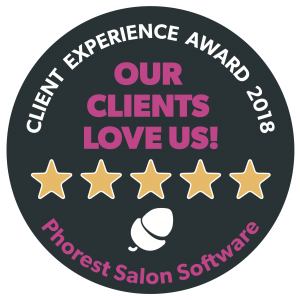 To get the best results, we advise a course of 3 and why we sell courses of three at significantly reduced rates to individually priced treatments. Derma Rolling is also referred to as Dry Needling, Collagen Therapy and Skin Needling. The needles stimulate the skins natural production of collagen and Elastin which can significantly rejuvenate & and in some instances remove altogether fine lines, wrinkles and blemishes. And helps to tighten the skin. Stimulation of the skin with needling also promotes the production of new melanin which can be significantly beneficial where scar tissue is white or lacking colour. Young face and neck skin is plump and tight but as we age, so does the skin, producing lines and sagging. Collagen is one of the main proteins vital for skin rejuvenation whilst elastin also a protein is responsible for the elasticity of the skin. Derma Rolling helps to promote both the production of collagen and elastin. After a course of Derma Rolling, fibroblasts are activated in the skin. Fibroblasts are cells that produce collagen, elastin and other fibres. How Long Does One Need to Use Derma Rolling? A course of Derma Rolling usually starts off with 3 treatments to ensure the skin is being stimulated enough to start producing more collagen. There is no limit to the amount of Derma Rolling can be done and many women use it as a very effective anti aging treatment to hold back time. Needling used in Derma Rolling does not destroy the surface layer of the skin. It has a very different action from laser treatments which burn through the upper layers of the dermis. Needling does cause pinpricks in the skin and whilst normal working routine can be returned to immediately after a treatment, you should allow between 3-5 days downtime if you want to look your best for a special occasion.